This species is accepted, and its native range is SE. China to Indo-China, Taiwan. Capparis membranacea Gardner & Champ. Fici, S. (2016). 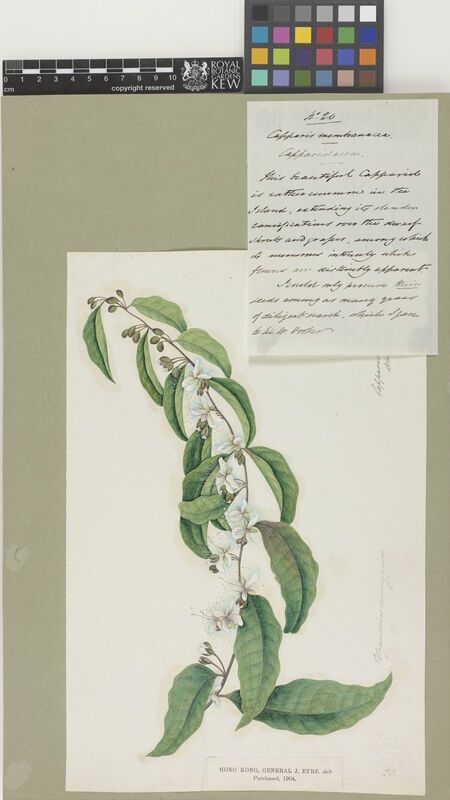 Studies on the genus Capparis L. (Capparaceae) in Lao PDR Webbia; Raccolta de Scritti Botanici 71: 169-175.